Disclosure. This post is sponsored by Wayfair. All opinions are my own. This post contains affiliate links. When I use syrup in recipes, I always opt for real maple syrup. It may cost a little bit more, but the flavour is so worth it. 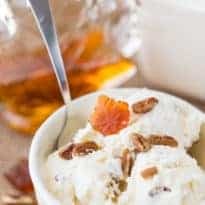 March is prime harvesting season for maple syrup so I thought it was fitting to share a maplelicious recipe with this easy No-Churn Maple Pecan Ice Cream. Did you know that Canada produces about 75% of the world’s maple syrup? It’s everywhere here and can be used in both sweet and savoury recipes. I love it on my pancakes and waffles and it makes a wonderful sweetener for oatmeal. I’m all over the maple desserts though. Maple fudge, Maple Syrup Bars and Maple Ice Cream. It’s just so good! 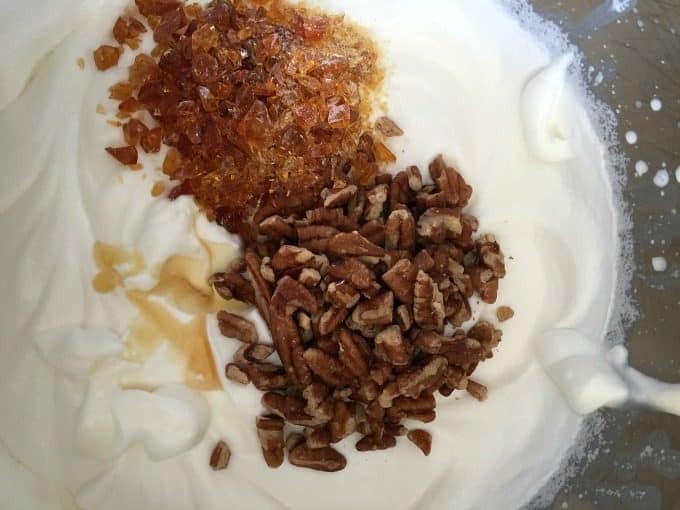 Over the weekend, I whipped up a batch of No-Churn Maple Pecan Ice Cream. It’s a super easy recipe to make. I think the hardest part was waiting for the ice cream to freeze! I wanted instant gratification, but trust me, it’s worth the wait. 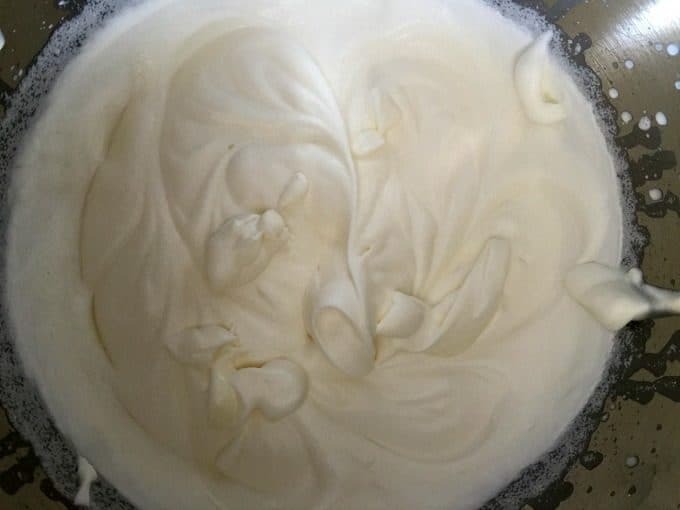 The base for all the no-churn ice cream recipes I make is the same two ingredients: whipping cream and sweetened condensed milk. Then all you need to do is add in your flavour combinations. Using a stand mixer or a handheld mixer, beat the whipping cream on medium speed until soft peaks form. It takes anywhere from 4 to 8 minutes depending on your mixer. Add in a can of sweetened condensed milk and beat on low until combined. Now it’s time to add your flavour ingredients. I used real maple syrup, chopped pecans and some chopped maple candies to give an extra bit of crunchy maple flavour. If you can’t find candies, feel free to leave them out. Pour your mixture into a freezer-safe container and place in the freezer for a minimum of 8 hours. I left mine in there overnight. The result is delicious. 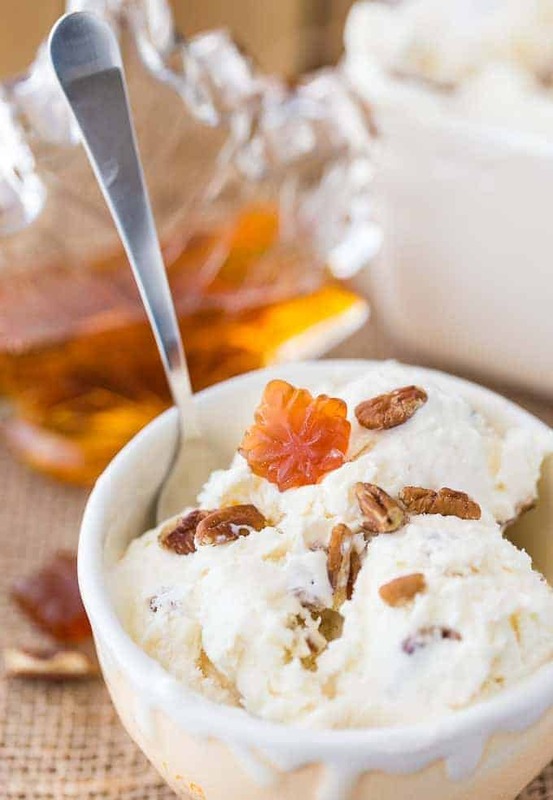 The ice cream is smooth and creamy with a beautiful maple sweetness. The pecans and maple candies add a little bit of texture and crunch. Like my ice cream bowls? They are the 4 Piece Ceramic Ice Cream Bowl Set by D’lusso Designs that I bought several months ago on Wayfair.ca. The ice cream was a hit with my family. We all had big bowls and enjoyed every last sweet bite! 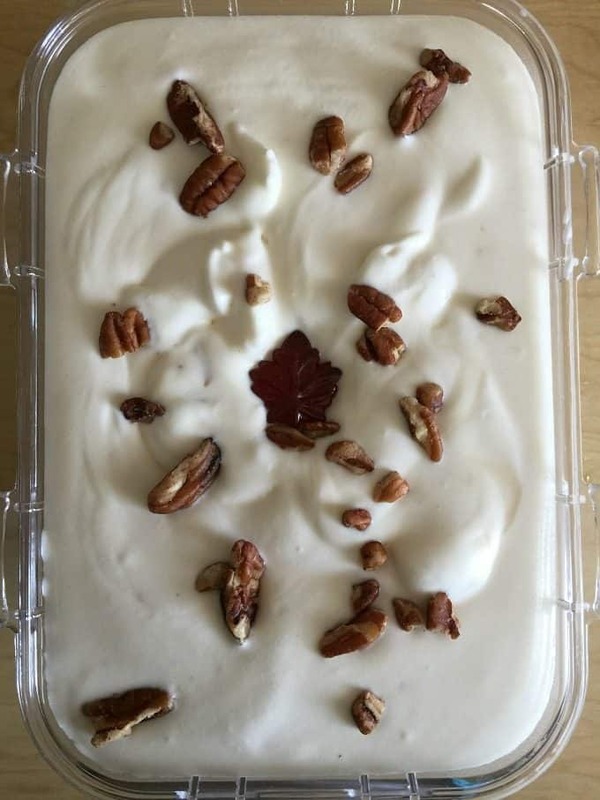 For more maple recipes, try my Maple Pecan Squares, Maple Coffee Milkshake and Maple Walnut Ice Cream. You might also like this Mint Chocolate Chip Ice Cream. What is your favourite way to use maple syrup in recipes? Creamy, sweet with a little bit of crunch, you’ll love the flavour the maple syrup adds to this ice cream recipe. 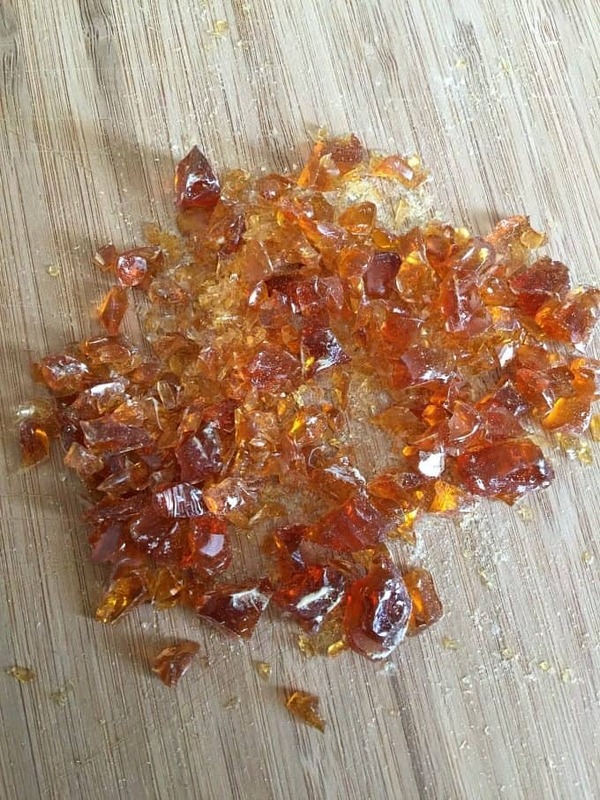 Stir in maple syrup, pecans and maple candies (if using). I enjoy making no-churn ice cream with my kids. Our favorite is cake batter. Yum! I love that this is no churn homemade ice cream!! Oh my goodness. This looks like heaven. AND, I happen to have some great maple syrup from my brother in law’s trees!! YUM. Woah this is awesome, really want to try this soon when it gets warmer. 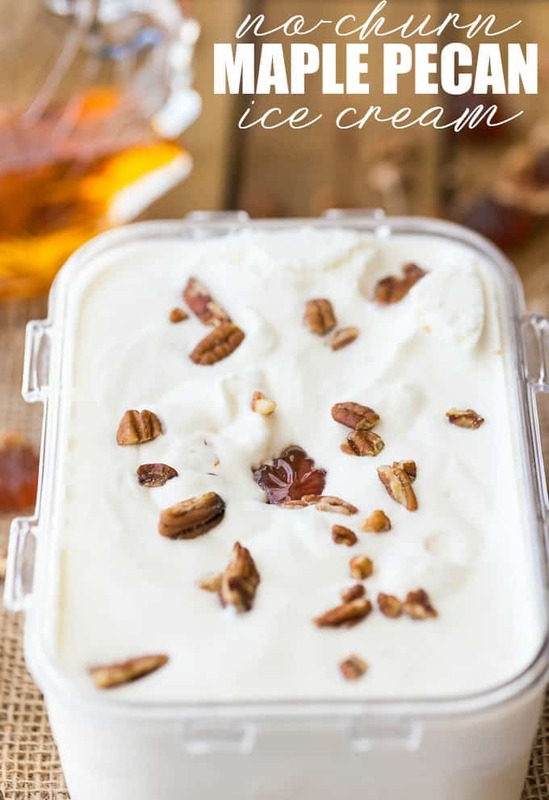 I’ve never tried no- churn ice cream but maple pecan is one of my favourite ice creams. I love that you don’t need an ice cream maker for this recipe. Butter pecan is my favourite flavour so this would be awesome. Heaven! That’s what this looks like! I love how easy this is to make! Thanks for sharing your recipe! I’ve really been wanting to try making ice cream… and my son recently has become obsessed with maple syrup. The other day he put it on his hot dog, lol. Will have to try this. Yum. Would love to try this! Pinning to share. Thanks so much for sharing your recipes with us at Brag About It! Yummy, Ice Cream and I can’t wait to try this recipe! Hope you are having a great weekend and thanks so much for sharing with us at Full Plate Thursday! I’m in love with this ice cream! Thanks for linkin’ up with What’s Cookin’ Wednesday! Pinned it and looking forward to making a batch! Sounds scrumptious. So glad you shared with us at Merry Monday. What a great idea! I grew up on Movenpick’s Maple Walnut ice cream and this recipe reminds me of that! Even more enticing with ‘no-churn’. Thanks Stacie, will have to try this out. Pinned!